I often get asked how long it takes me to finish a piece. 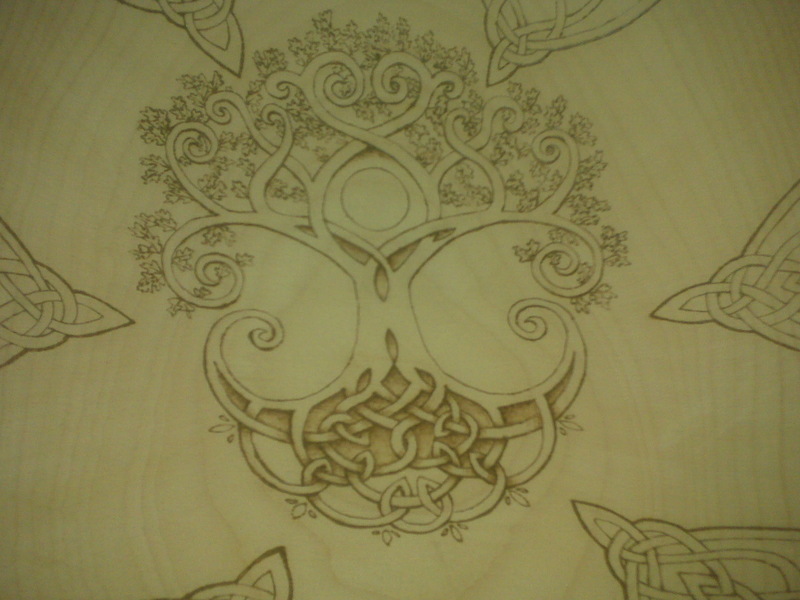 It really depends on the design and the method I am using, but pyrography is a time-consuming craft. 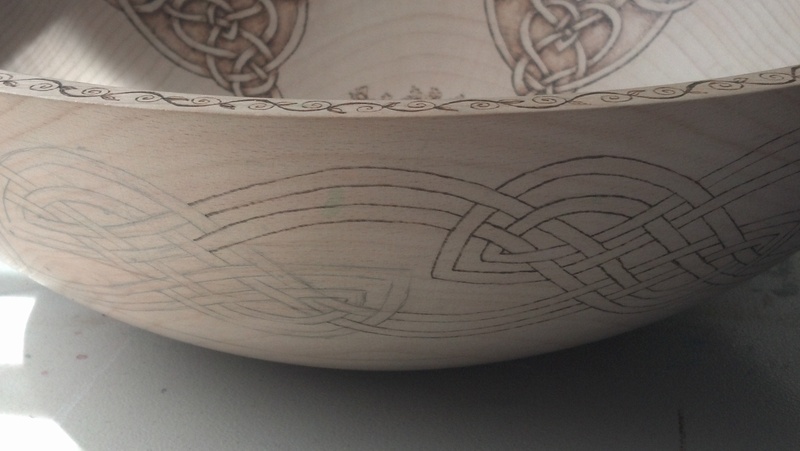 It takes a steady hand and a lot of patience. With a normal day job and a young child, it takes longer. I have been working on it, when my schedule allows, since the end of last year. It is a large bowl, 15 inches. 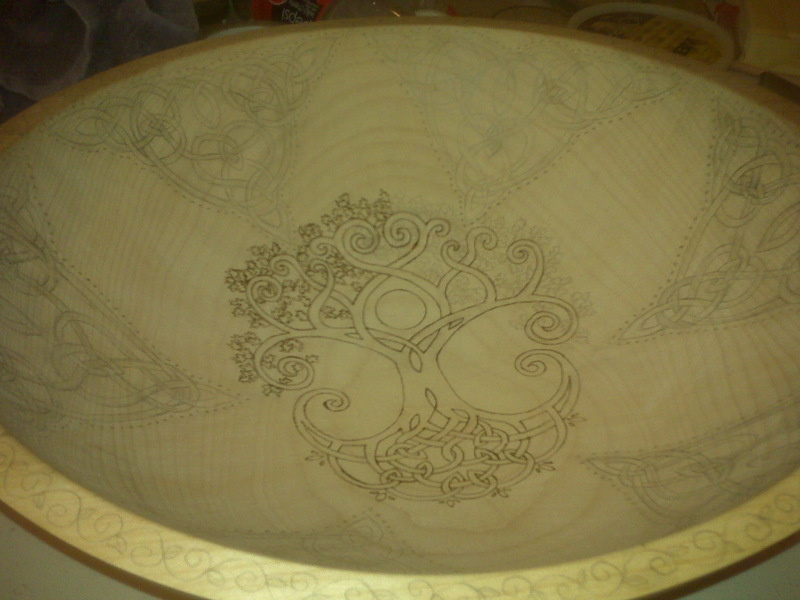 It took me probably 2 hours just to draw the inside of the bowl and 1.5 hours to draw the design on the outside of the bowl. 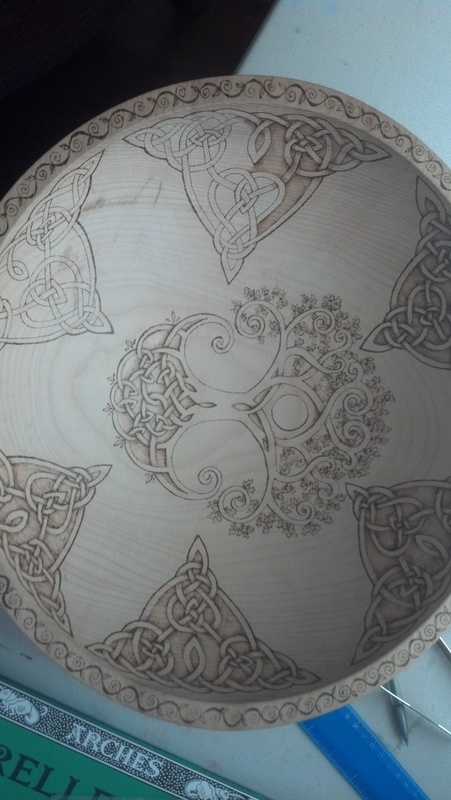 After drawing in pencil, I go over my lines with my pyrography tool. for most lines I use a writing tip. This goes quicker than the original drawing, but it still takes a while. All together it was probably 1-2 hours. 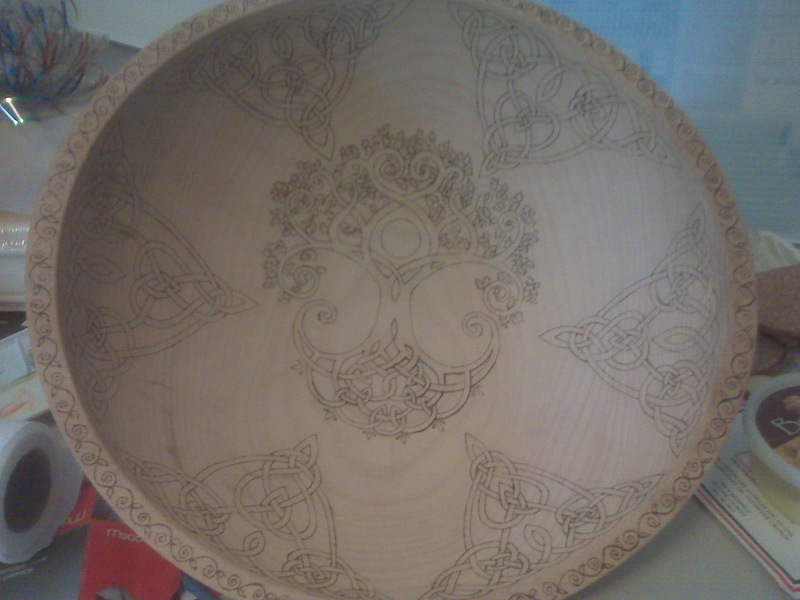 Next, I make adjustments to the lines, making some thicker than others. Then comes the really time-consuming part. Shading. It involves burning layer by layer. To avoid burning to deep or getting an undesired darkness, I keep the temp fairly low and just build up the burn.